The food industry’s highly competitive nature can make reaching new buyers very difficult, especially for small companies who don’t have much marketing experience. Often, even if the producer has high quality products and attractive prices, his unpolished company image or a wrong approach to contacting new leads can create a lack of trust from the potential clients (food importers or distributors), resulting in poor feedback and sales. 1. Take a little time to research each potential buyer. See if he currently imports/distributes products that are similar to yours. Many times in order to get a response you must offer the contact something that matches his current needs. Save the companies that have potential in a separate leads list (or mark them as Favourites in the BestFoodImporters databases). 2. Try to send a personal and unique email to each of the companies. If possible reach out to the person who handles purchases and use his name. Don’t send a generic message to a large number of companies because they will usually ignore it and consider it unsolicited. Carefully chose an attractive subject for the email. 3. Trust and first impressions are vital. 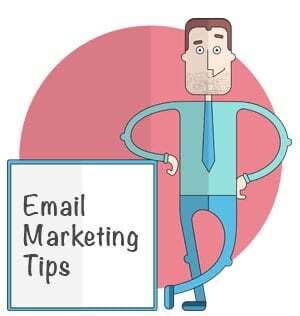 Make sure that your email has no spelling errors and that it’s properly formatted for both desktop and mobile. The images, if included, should look great. Add a short description about your company’s origins/activity and a link to your website. Most of the time having a professional looking, up-to-date website, also available in English, and a nice logo are a must. 4. Focus on your strengths and on how your products could fit in their portfolio. Don’t promise unrealistic prices, as they probably already know the market value of your offerings. Instead, try to tell a story that focuses on the quality of the products, the people behind them and the history of the brand, if there is one. 5. Don’t try to close the deal in one email. After an initial message that serves as a first contact with the decision maker you can send a second email focusing on various details such as delivery, packaging, quotations, safety regulations. A follow-up phone call is also a very good idea, as it usually significantly increases the response rates. You can find up-to-date contact details for a large number of importers and distributors from the main sectors of the food industry in the BestFoodImporters databases.